A blue and maroon plaid tie. Great for special occasions and standing out in the crowd. 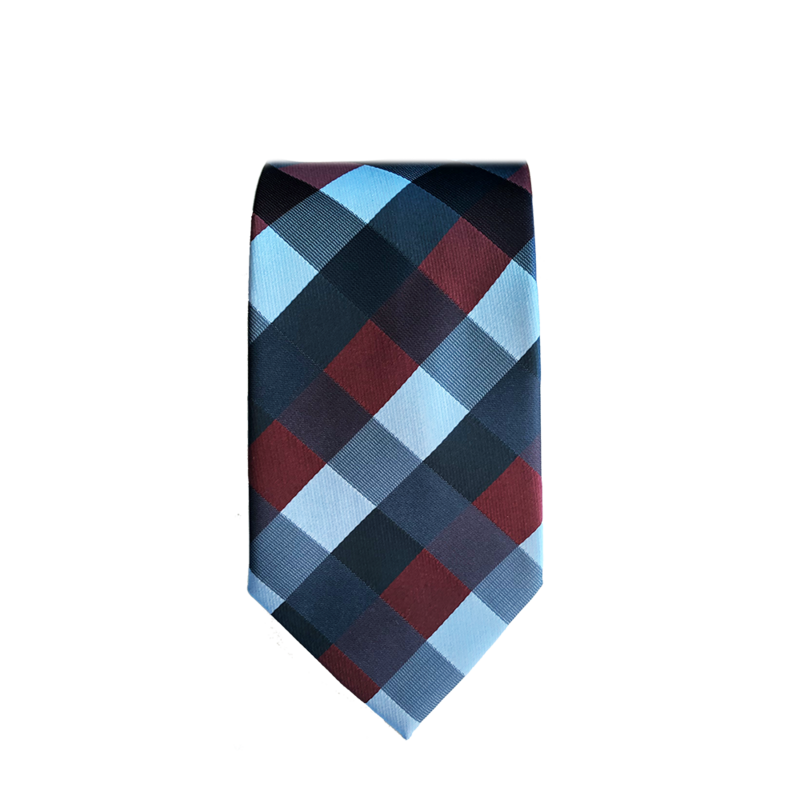 Wear this necktie with a blue suit for a superb effect.